MSB Global Resources recruitment team solving recruitment puzzle at NBAA. The Wichita, KS., office of Sogeclair Aerospace, MSB Global Resources, (MSB) will make its debut during NBAA18, booth 1468, as the team brings its recruitment-puzzle solving skills to the event. MSB, which specializes in identifying, sourcing and supplying professionals on behalf of the aerospace industry, will showcase the customized manpower solution it uses to effectively hire in-demand aerospace employees. 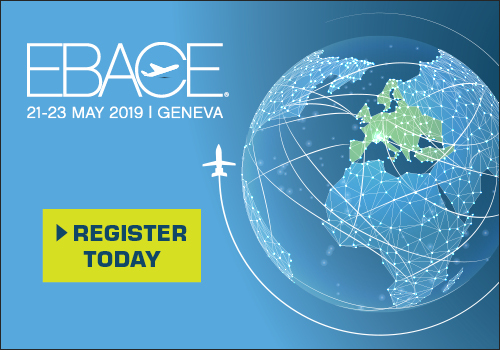 The team aims to support NBAA delegates and exhibitors by providing practical solutions to the industry challenges of finding, selecting and subsequently recruiting the right talent. The MSB process uses a specific in-house methodology developed to specifically satisfy the demands of aerospace recruiting. Potential recruits can expect a rigorous interview procedure, detailed skills assessment by engineering managers and supplemental training, as necessary. Future employers benefit from a collaborative leadership approach with MSB meeting client needs by building in-depth customer relationships and subsequently offering solutions for their manpower solutions. MSB already has a strong track record of placing talent and fulfilling contract engineering requirements at OEMS and their suppliers across North America in locations as diverse as Montreal, Toronto, Ohio, Indiana, Texas, St. Louis and Wichita. Specializing in engineering (flight test, mechanical, electrical, stress, design, weight, flammability), project management, supplier management, and manufacturing, it aims to meet labor needs by providing individual contractors, entire teams on site, or work package solutions for engineering services. Montreal-based MSB, part of the Sogeclair Group, is formed of MSB Design and MSB Ressources Globales. From 2005 MSB has provided a one-stop service for customized precision-engineered products to the business aviation sector. MSB Ressources Globales is the engineering contract company providing long term project specialists and work packages to the aerospace industry. MSB has three defined product categories; Crystal, China & Flatware inserts (CCF), Mechanisms, including Single pedestal Hi-Lo conference tables and cabinets. Whilst MSB Ressources Globales provides over 400 specialized engineers to the aviation sector. MSB Global Resources and MSB Aerospace are the United States based subsidiaries of Sogeclair, located in Wichita, KS. and Savannah, GA. respectively, and are providing the same high-end aerospace solutions as their Canadian parent companies. Customers are leading OEMs including Bombardier, with whom it has worked since inception, and more recently Embraer and Gulfstream, in addition to completion centers and design houses. It provides products to the international sector and is dedicated to living up to its reputation for reliability, quality, and innovation. United States, Orlando, Orlando Executive Airport, 365 Rickenbacker Drive Orlando Florida 32803.